BNI Rocky Mountain Thunder is a group business people who meet every Thursday morning at Gasoline Alley in Heritage Park. Each week we have over 30 members and their guests attending, all eager to get to know you and introduce you to a fantastic business networking opportunity! Please arrive by 6:45 am. You will be welcomed by chapter members who will find you a seat and introduce you to other chapter members. You'll have the opportunity to meet our members and other visitors. Then enjoy a buffet breakfast, served just before the meeting begins promptly at 7:05 a.m.
You will get 30 seconds during the meeting to educate memebers and guests about your business. Please refer to the following link for tips on how to best prepare for this 30 second "introduction". We finish promptly at 8:30 a.m.
You are interested in finding a great group of like-minded people who can find you business through referrals. You might be interested in becoming a member. You are interested in BNI and want to see how it works. You were invited by a chapter member to see his or her showcase presentation. 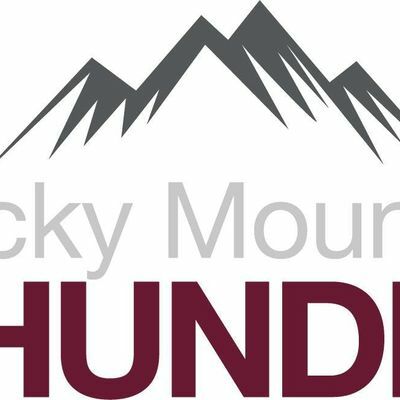 You are a member of another BNI chapter and would like to know how Rocky Mountain Thunder works. Please bring 40-50 business cards, a 35-second introduction of your business and a willingness to have fun. We are serious business people, but we don't take ourselves too seriously. We complete our weekly meetings right on time at 8:30 am. It'd be great if you brought referrals in for our members, but we don't expect it. We really welcome the opportunity to get to know you, and for you to get to know us. What should be in my infomercial? That depends if your business category is open. Please click here to view our current member list and the business categories that are members hold. click here to view our current member list and the business categories that are members hold. 1. If your category is open — You've got 30 seconds to tell us about yourself, so that's a mere 75 words or so. We recommend you write it out and practice it the night before so you'll have the maximum impact. Here's a format that might help: i) your name, ii) your business's name, iii) what your business does (e.g. pool cleaning), iv) one major benefit you provide (e.g. "We take away the worry about maintaining your pool. ", v) who a good referral would be (e.g. A pool owner who travels a lot. ), vi) repeat your name and business name. 2. If your category is already held by a member — We ask you to respect the no-competition aspect so rightly famous in BNI. Just tell us your name and business's name, what you do, mention that you know the category is already taken, and then tell us why you visited us this morning. No. When you register, we order your meal, make a nameplate and set you a place. So you need to use that ticket for the day you have reserved. Yes please! It really helps smooth your check-in process. Don't forget to keep a copy; the cost is deductible! Your ticket covers the cost of the meeting. The networking, the experience and any business you might receive are FREE. By purchasing a ticket you show you are as committed to attending as are the members. Refunds will not be granted except for very unique circumstances as determined by the chapter leadership team.